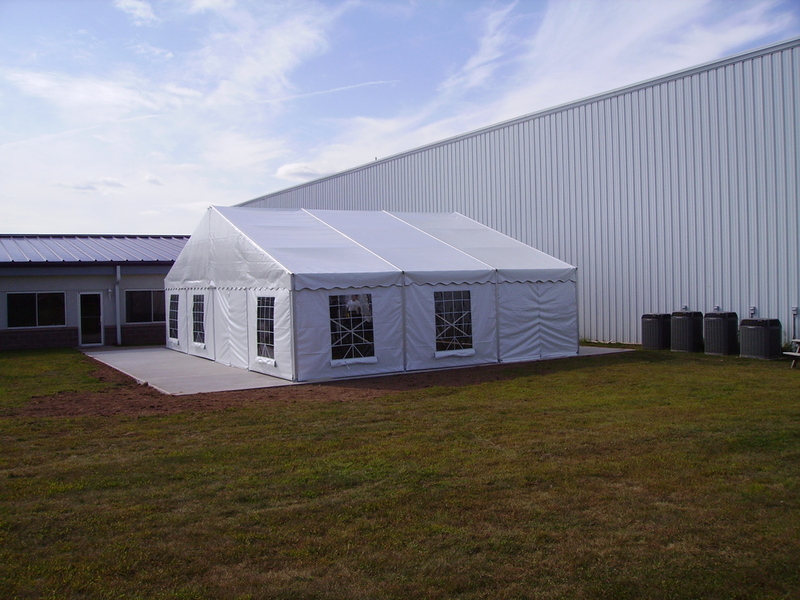 The Celina Tent PROspan Series is a temporary, semi-permanent frame supported fabric structure. The PROspan is best suited for long term installations and requires less maintenance than a standard frame tent. Even though the PROspan is recommended for long term installations, the installation process is simple enough to be disassembled and reinstalled for short term installations. The PROspan structures have a Keder Track system that makes it easy to slide the roof and side panels out when severe weather or snow is anticipated. The PROspan will provide an alternative structure with more flexibility than a permanent building.